As most of you now know, my family and I are moving and I’ve been packing up my house. 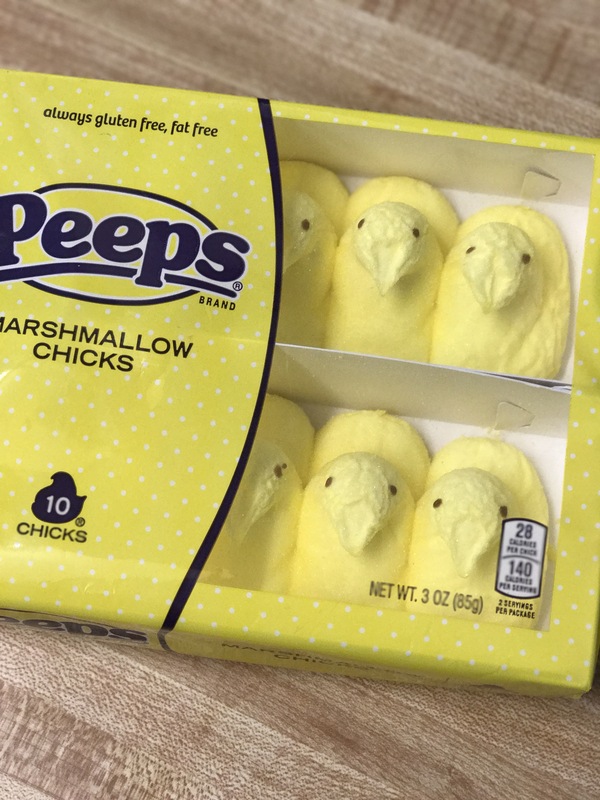 Today while I was packing up one of my kitchen cabinets, I found a package of Peeps that we had hidden from our kids last Easter. When I realized they were still in there I expected them to look all weird and nasty. To my surprise, they looked exactly the same as the day I put them in there. Then I thought, “I should check the expiration date!” Much to my surprise, the expiration date is 06/2017!!!!!! This was alarming to me. Then I started thinking more and more about this. This applies to literally everything we eat! Why do we eat stuff like this? Why do we “treat” ourselves with these type of things? Are we so ignorant that we don’t care that this is posioning us? Why do we care so little about the ingredients of the items that we continuously put in our bodies? Do we even realize the affects these things have on us? Do we just trust because they are approved for sale that they are healthy? Also- ummm, what is in a peep?! It’s a marshmallow so, sugar, corn syrup, gelatin and numerous added artificial colors and chemicals. One of those is caranuba wax, which is also found in car wax. Yep. Car wax. Previous postMy favorite Whole30/Paleo breakfast items and recipes.